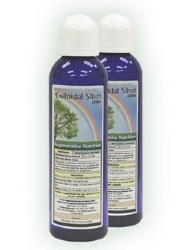 Colloidal Silver is a natural antibiotic and antiseptic that will help to reduce wound healing time, it can be applied topically or taken internally. Silver has been used since antiquity to purify water. While silver's importance as a bactericide has only been documented since the late 1800s, its use in purification has been known throughout the ages. The Phoenicians, for example, used silver vessels to keep water, wine and vinegar pure during long voyages. American pioneers put silver and copper coins in their water barrels to keep them clean. 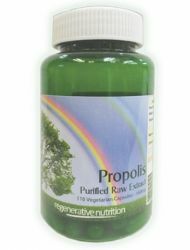 Propolis is a broad spectrum, natural remedy that should be rated as a master healer with anti-inflammatory properties. In short, propolis can be summed up as immune enhancing, protector and healer. Aloe Vera (We dont sell this but easily available) is a wonderful natural remedy for healing wounds. The bulk of the aloe leaf is filled with gel, 96% water with the other 4% containing 75 known substances. Applied to wounds, aloe gel is a mild aesthetic, relieving itching, swelling, and pain: it also is antibacterial and antifungal, increases blood flow to wounded areas, and stimulates fibroblasts, the skin cells responsible for wound healing. We supply Aloe powder concentrate in capsules, simply open one or more capsules mix with a small amount of water and rub on to the affected area. An animal-based study in the Journal of the American Podiatric Medical Association found that both oral and topical aloe preparations speed wound healing. Aloe Vera also decreases surgical recovery time, according to a report in the Journal of Dermatologic Surgery and Oncology. Dermatologist James Fulton, M.D., of Newport Beach, California, principal author of the report, uses topical aloe in his practice to speed wound healing. "Any wound we treat, whether it's suturing a cut or removing a skin cancer, heals better with aloe vera on it," he states. 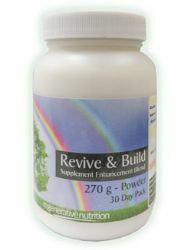 The supplements recommended for the treatment of Wound Healing are listed below. Not all will necessarily be discussed in the article, as some may have been added after the article was posted. If a listed supplement is not mentioned within the article, or you wish to know more about any of the listed supplements, you can find out more information by clicking on that supplement below. You can also now add to your basket directly from this page.